Few people who watch The Bachelor or The Bachelorette do so without some kind of game attached. Maybe it’s a drinking game—do shots when someone cries. Or perhaps it’s a brain buster—what purpose, exactly, does Chris Harrison serve? Or maybe it’s a good old-fashioned bet, with each viewer putting cash down on a prospective winner. If it’s the latter, FiveThirtyEight compiled some information to help inform your decision. The site did its research, too. 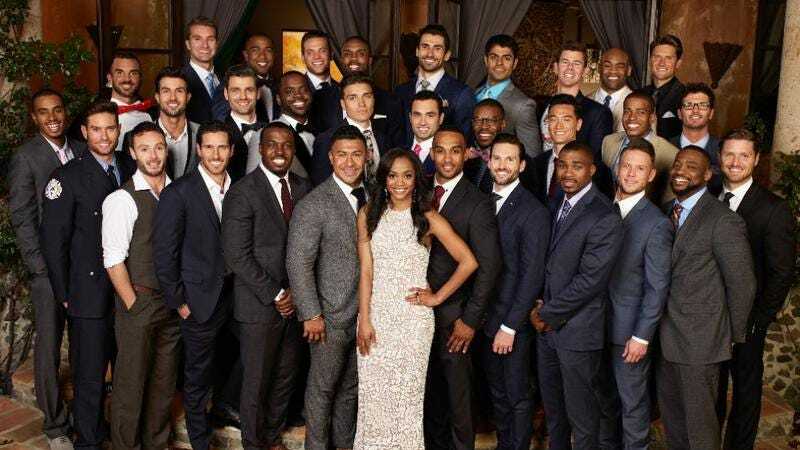 In analyzing all 21 seasons of The Bachelor and all 12 of The Bachelorette—that includes 856 contestants across 280 weeks of competition—FiveThirtyEight determined what factors tend to define those who go on to win the show. Here’s one big surprise: The first date rose is more or less meaningless (sorry, Bryan! ), as are two-on-one dates, which exist mainly as a means of winnowing out the crowd. In the early going, it’s all about who scores those one-on-one dates; the earlier you get one, the better shot you have at scoring that engagement that will probably never come to fruition. Not to be too cynical here, but to look at the chart of every winning couple’s relationship status is to look at a scorched wasteland littered with bloody ventricles. Only two couples from The Bachelor’s lineage are still together, and that includes last season’s Nick and Vanessa, who are doomed. The Bachelorette has fared a little better, with five of its 12 couples still standing, but has it occurred to producers that maybe, like, this isn’t working? Check out the whole article for more.